Holler if you need anything! One German newsletter said if you've ever dreamed of living in a small town in the southern US, you should read the Chancey series. Other readers say they know, know, the folks in Chancey because they grew up with them in their own small towns. Come visit and see what you think! Chancey Book Six, A CHANCEY DETOUR, released June 19, 2018! Shouldn't a DETOUR have big signs to give you warning??? Friend me on Facebook for all updates. 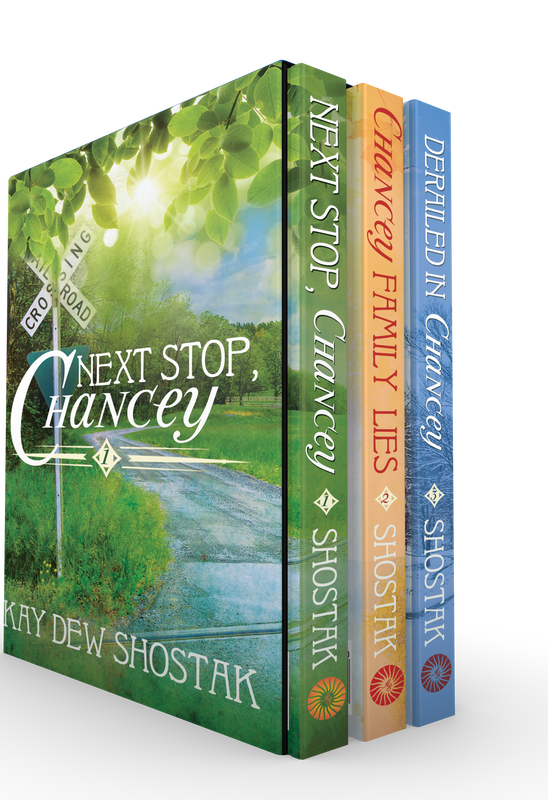 Look for Kay Dew Shostak or ChanceyBooks on Facebook or click below! Take a trip south with the Florida Books! From South Georgia trailer trash to owning an abandoned luxury subdivision on a Florida Island, Becca Sue floats along on a sea of low expectations. However, the floating suddenly feels more like drowning! ​Want to listen to Next Stop, Chancey? Here's the link to download the audiobook and if you've already bought the eBook, you might get a great price on the audiobook! Please leave a review on Amazon - they really do help! Thanks! Want to read another great Southern Fiction book? I highly recommend Callie Kinser of Brush Creek by Ron Miller.